VIN# 3GNFK12367G217258 WE DO NOT OFFER ANY FINANCING OR PAYMENT OPTIONS, FEEL FREE TO CALL OR TEXT, 931-607-7448 WITH QUESTIONS!! NICE CLEAN TRADE IN AT LOCAL FORD DEALER, CARFAX CERTIFIED!! 2007 CHEVY AVALANCHE LT 4X4 LOADED WITH OPTIONS, POWERED BY A LONG LASTING 5.3 VORTEC V-8 ENGINE WITH AUTOMATIC TRANSMISSION, RIDING ON 20 INCH WHEELS WITH NEW TIRES AND FEATURING BELOW AVERAGE MILES FOR THE YEAR MODEL!! GREAT AFFORDABLE AND DEPENDABLE SUV FOR COMMUTING OR KID'S FIRST RIDE!! NO DOC FEES!! ALL TENNESSEE RESIDENTS ARE REQUIRED TO PAY SALES TAX IN ADDITION TO THE AGREED UPON SALES PRICE INCLUDING EBAY ACCEPTED OFFERS!! Unless this vehicle has Factory Warranty remaining, this vehicle is being sold as is, where is with no warranty, expressed written or implied. The seller shall not be responsible for the correct description, authenticity, genuineness, or defects herein, and makes no warranty in connection therewith. We do not sell new vehicles, therefore normal wear and tear should be anticipated. No allowance or set aside will be made on account of any incorrectness, imperfection, defect or damage. Any descriptions or representations are for identification purposes only and are not to be construed as a warranty of any type. It is the responsibility of the buyer to have thoroughly inspected the vehicle, and to have satisfied himself or herself as to the condition and value and to bid based upon that judgment solely. The seller shall and will make every reasonable effort to disclose any known defects associated with this vehicle at the buyer's request prior to the close of sale. Seller assumes no responsibility for any repairs regardless of any oral statements about the vehicle. Call 931-684-8671 or go to www.mikesautosales931.com FOR MORE INFORMATION AND ADDITIONAL PHOTOS. Advertised price does not include tax, title or license. VIN# 3GNFK12367G217258 WE DO NOT OFFER ANY FINANCING OR PAYMENT OPTIONS, FEEL FREE TO CALL OR TEXT, 931-607-7448 WITH QUESTIONS!! NICE CLEAN TRADE IN AT LOCAL FORD DEALER, CARFAX CERTIFIED!! 2007 CHEVY AVALANCHE LT 4X4 LOADED WITH OPTIONS, POWERED BY A LONG LASTING 5.3 VORTEC V-8 ENGINE WITH AUTOMATIC TRANSMISSION, RIDING ON 20 INCH WHEELS WITH NEW TIRES AND FEATURING BELOW AVERAGE MILES FOR THE YEAR MODEL!! GREAT AFFORDABLE AND DEPENDABLE SUV FOR COMMUTING OR KID'S FIRST RIDE!! NO DOC FEES!! ALL TENNESSEE RESIDENTS ARE REQUIRED TO PAY SALES TAX IN ADDITION TO THE AGREED UPON SALES PRICE INCLUDING EBAY ACCEPTED OFFERS!! Unless this vehicle has Factory Warranty remaining, this vehicle is being sold as is, where is with no warranty, expressed written or implied. The seller shall not be responsible for the correct description, authenticity, genuineness, or defects herein, and makes no warranty in connection therewith. We do not sell new vehicles, therefore normal wear and tear should be anticipated. No allowance or set aside will be made on account of any incorrectness, imperfection, defect or damage. Any descriptions or representations are for identification purposes only and are not to be construed as a warranty of any type. It is the responsibility of the buyer to have thoroughly inspected the vehicle, and to have satisfied himself or herself as to the condition and value and to bid based upon that judgment solely. The seller shall and will make every reasonable effort to disclose any known defects associated with this vehicle at the buyer's request prior to the close of sale. Seller assumes no responsibility for any repairs regardless of any oral statements about the vehicle. 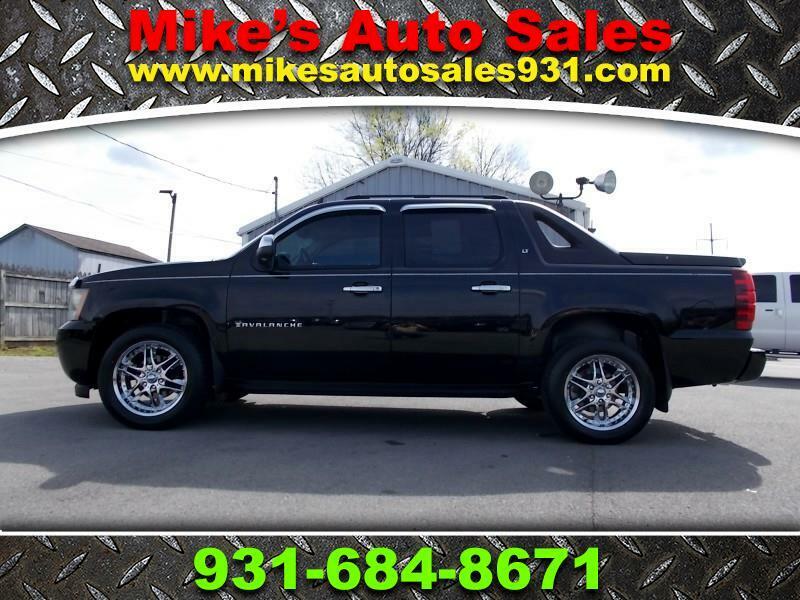 Call 931-684-8671 or go to www.mikesautosales931.com FOR MORE INFORMATION AND ADDITIONAL PHOTOS. Advertised price does not include tax, title or license. Mike's Auto Sales is a local owned dealership that has been in business at the same location since first opening our doors in 1981. We specialize in Diesel and 4x4 Trucks plus pride ourselves on offering for sale the best quality used Cars, Vans, Suv's, and Trucks of all the dealers in Middle Tennessee. Drop by our dealership or call ahead if you would like to schedule an appointment. Feel free to compare our prices against the prices of other automobile dealerships in the area. Whether you are planning to buy now or will be buying in the future, Mike's Auto Sales offers the best selection of used Cars, Vans, SUVs and Trucks of any of the car lots in the area plus great prices; and our quality, sales and satisfied customers prove it! From our convenient location at 1664 Fairfield Pk. Shelbyville, TN, we serve Murfreesboro, Franklin, Tullahoma, Winchester, Spring Hill, Nashville, Lebanon, Clarksville, Memphis, Jackson and the entire State of Tennessee. We also have a large customer base in the states of Alabama, Georgia, Kentucky, Illinois, Arkansas, Texas, California, Hawaii, Missouri, Mississippi, North Carolina, South Carolina, Virginia, West Virginia, New York, Washington, Wisconsin and literally all the 50 States plus several other Foreign Countries that we have helped find great pre-owned vehicles. Stop in today and See for yourself why dealing with us really is a new way to buy a vehicle! At our dealership we work very hard to accurately describe our vehicles through text descriptions and elaborate photos. When you purchase a pre-owned vehicle it is not a new vehicle. Any used vehicle can have normal wear and blemishes. Before placing a bid please read the descriptions thoroughly and view all pictures.